Please join us for a sneak preview of Act One, THE LOST OPERAS OF MOZART. This Saturday, 4 – 5pm at the Carnegie Centre. Free, of course. We will be testing our brilliant new script by Maria Reva (above), and giving music from Lo Sposo Deluso and L’oca del Cairo. This will be our 78th concert -- and our 31st in the DTES alone. Generously sponsored by the BC Arts Council, and BC Gaming. Lost Operas is our first comedy -- and its unknown music is extraordinary. BREAKING NEWS: we have just been awarded a production grant for Lost Operas from the Canada Council. Now, to raise the remaining $50,000... if you would like to help, please visit our support page. 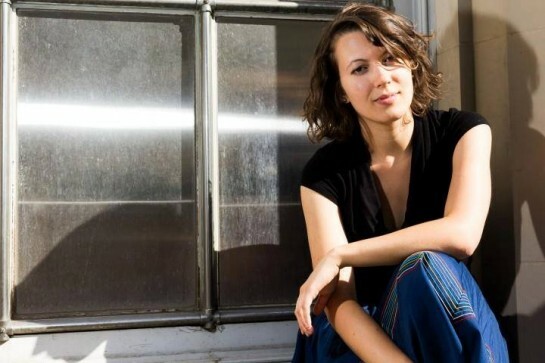 Thanks to extraordinary grants totaling $350,000 US from the Annenberg Foundation and explore.org, in 2010 – 2012 we created the new opera Fallujah. Thanks to ongoing work of Canadian composer Tobin Stokes and Iraqi-American librettist Heather Raffo, our friends at Long Beach Opera launched the current version on 12 March. Fallujah is our first commission ever produced in the States. Our second, Pauline, was given in Québec last October. We are now planning a tour for Missing Women in 2018. Simulstream online at KCET.org/Fallujah and LinkTV.org/Fallujah. On 5 February we gave our 77th concert – and our 30th in the DTES alone. Soprano Michelle Koebke and pianist Roger Parton featured Rossini, Bizet, Puccini, Gershwin, and more. It was free, and produced by the Carnegie Centre. Our friends Sid Chow Tan and Elwin Xie filmed this special event. Their work may be seen here. At 2pm and 7pm, join City Opera artists Chloé Hurst, soprano; Samuel Chan, baritone; Richard Epp, piano; and, Tom Durrie, narrator, for a delightful concert of great arias and duets for soprano and baritone. $20 at the door. 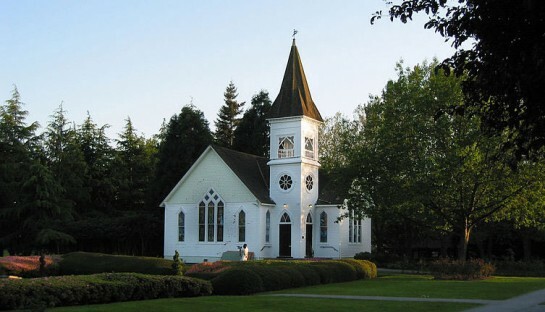 Minoru Chapel is at 6540 Gilbert Road, Richmond, behind Richmond General Hospital and the Gateway Theatre. Here's a map. 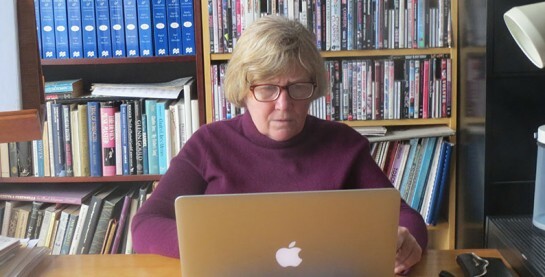 and Hilde Binford is doing all the work, entering the 200+ names and addresses of our wonderful individual sponsors. Here’s Hilde, hard at her volunteer labours. We have received recommendations from colleagues across the country. A long list of 56 has now been whittled to nine. Four of these gifted composers have been asked to set text from Marie Clements’ second draft libretto, and a Jury will hear each. City Opera uses an anonymized process, so to reduce the possibility of bias. 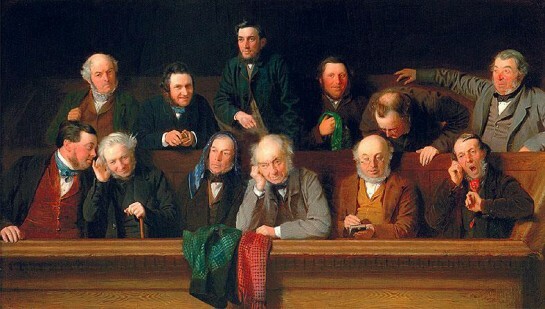 Only when the Jury chooses, say, Number Three, will they find out who it is. Thanks to Adam Abrams, we have now updated our YouTube Channel -- with twelve videos representing our company’s work and history. 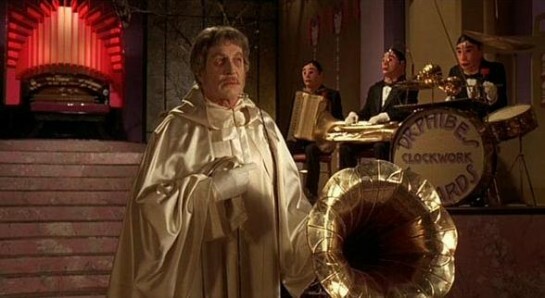 If you get tired of watching The Abominable Dr Phibes, why not check it out? THE COMPANY: Hiring our first General Manager, we seek someone able to help realize the potential of a growing professional chamber opera company. More information on our website, and under Job Openings at the Arts Alliance. Our friend and co-founder Tom has decided to retire from his many good works, including serving as our first Director of Development, and our book-keeper. He’s in very good health and has just decided to take a break. 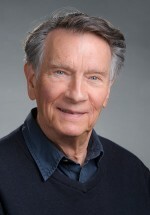 We thank you, Tom, for a lifetime of faithful service to the arts in British Columbia.